Near-misses on the construction site can be highly valuable for identifying potentially unsafe practices and equipment. The key to using near-misses to improve overall safety is ensuring incidents are reported quickly and consistently. 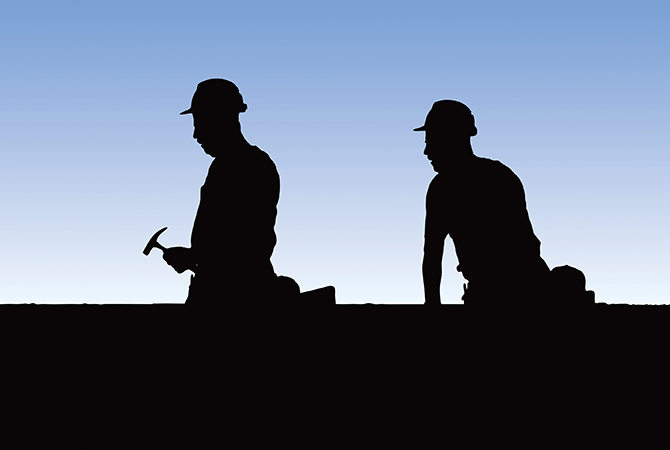 Don’t let ignoring safety construction be the downfall of your business. We’ve put together a list of the top ten reasons near-misses go unreported, and how to improve reporting on the job site. Workers think they'll get in trouble for almost having an accident. How to combat it: Instill a culture that prioritizes safety and concern for workers' health. Make sure workers feel comfortable pointing out flaws, whether it's their own or within the workplace. Workers don't want to be called on to explain their embarrassing accident. How to combat it: Use an anonymous reporting procedure to collect close call data. Encourage a workplace that values safety reporting and praise workers who do come forward and share their near-misses. Employees don't even realize that an accident almost occurred; or, near-misses become so commonplace on the job that they're perceived as a normal part of everyday work life. How to combat it: No one wants to sit through yet another safety seminar, but it's important for all employees to recognize potentially dangerous situations ... even the smallest ones. Consider bringing in an expert to remind the team about seemingly insignificant safety issues, or just hold an informal (and paid) workshop where team members take an active role by brainstorming near-miss situations and how to avoid them. Have you seen our video safety video blogs? They're highly informative... but also entertaining and a great way to start introducing safety practices. How to combat it: Use a short form to collect only the most essential information regarding the near-miss. Make the form available through means that your workers will use—whether that's via a paper form in the break room or an online form that they fill in at home or on the go. There's a reporting system in place, but no instruction was provided on when or how to report near-misses. How to combat it: When you introduce your system, or when you realize no one is turning in any reports, take a minute to get everyone together and show them how the reporting system works. Show them where to go to and what to do. Maybe it's as easy as stopping by the foreman's desk and having a quick chat; or, perhaps it just requires a few sentences on paper, left on the break room table. Either way, they won't know unless you show them. How to combat it: Spend a good amount of time praising those who speak up or follow the right safety practices. Use trusted, influential coworkers to spread the word that reporting close calls is always a good thing. Once enough positive vibes seep into company culture, workers won't feel as worried about their reputation. If reporting a near-miss affects safety statistics that are tied to bonuses, employees almost definitely won't want to report them. How to combat it: Segregate your safety statistics by accidents and near-misses, and tie bonuses only to accident rate. You'll still be able to see overall safety stats, but your workers' bonuses won't be affected by sharing opportunities for improvement. How to combat it: Always, always take near-miss reports seriously. Read them, document them and investigate causes and potential effects. Devise a solution, and bring the entire analysis to a team meeting to discuss the event along with suggestions for how to avoid future accidents. Employees aren't interested in reporting near misses. How to combat it: If your employees feel comfortable giving their names when reporting close calls, consider praising them at the next team meeting or providing a small bonus for their help making your job site a safer place to work. If you're using anonymous forms, bring in a box of doughnuts for the team to thank them all for their help. Whatever you do, make sure reported events are positively recognized. Yes—it sounds pretty obvious, but it's very much the truth. More workers than you'd suspect find themselves with suggestions for safety improvements, but don't know of any "suggestion box" at their place of employment. How to combat it: Make a near-miss report form and a physical place to turn completed forms in. Then, make your whole team aware of the system. Let them know that it's their opportunity to suggest improvements, and that all suggestions are welcome. You may be met with a few jokes or laughs, but the potential to avoid real accidents is more than worth it. The fatal injury rate is higher for the construction industry than the national average for all other industries, prioritizing safety on the job site is of utmost importance. In our FREE eBook, the Complete Guide to Fatality Elimination, we cover some of the most common incidents within the construction industry, and tell you what you can do to prevent them. Download it today!